Whatever your choice, every hole, every hazard and every shot is defined by nature's infinite presence. Enjoy. 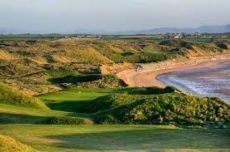 Ballybunion Golf Vacation Packages are available through this web site.